Smart drugs are becoming all the rage right now. These are “brain pills” that can help you focus more and possibly even do better on tests. You may be interested in trying smart drugs for thought enhancement, but concerned about cost, availability, and possible side effects. While modafinil is considered to be generally safe, it has not been studied in the long term. Maybe you are wondering if you should try modafinil vs Adderall, or if there might be something better to try. Yet, without a prescription, you could be at the mercy of bad actors when buying focus pills online. For this reason, having some safe, natural alternatives to smart drugs is a great idea. Whether you just can’t get access to any smart drugs, or want to try a gentler approach, you are in luck. From natural herbs to lifestyle changes, there are ways you can improve your focus and concentration without a pill. Please note, however, that herbs aren’t always just “safe” because they are plants. Poison ivy is a plant, and you wouldn’t want to smoke it. Use caution and moderation with plants. Herbs can still have side effects, so pay attention to how you feel when you take them. You can also see a qualified herbalist and/or acupuncturist for help in choosing the right herbs. Make sure you ask your doctor if you have any conditions that could be affected by herbal usage. You should also report your herbs when asked what “medication” you are taking when you see your doctor. This should go without saying, but sleep is so incredibly important to your brain function that it must come first. There is no point in pumping yourself full of smart pills if you are trying to make up for a series of all-nighters. Your fatigue will win out every time. Take time to rest so your brain will function at its maximum capacity. If you have insomnia, then taking care of this should be one of your top priorities, not just for brain health but for your overall health and well-being. Along with getting enough sleep, our next common-sense approach to high brain function is good nutrition. If you expect to have a super clear brain when you are eating tons of junk food and fatty fast food, you are, well, probably not thinking clearly because of all the garbage you are eating. Improving your diet can do wonders for your mind. Try eating more fresh vegetables and low-fat meals. Then see how you feel mentally. You may be amazed! 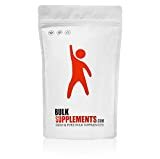 If you want an easily accessible “smart drug” that has been used for centuries, has few side effects, and is considered to be highly safe, then try the herb Gingko Biloba. This herb has been used in Traditional Chinese Medicine (TCM) for its healing properties. Gingko Biloba increases blood vessel dilation, which improves blood flow. The herb can help improve memory and concentration while reducing anxiety and depression. It may help reduce the risk for dementia and Alzheimer’s. Gingko Biloba is readily available, and you may even be able to find it at your local supermarket these days. 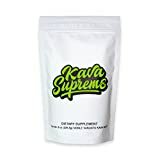 Kava Kava is actually more of a relaxant and it is definitely not a stimulant, so it’s not something you use to perk you up when you need a quick brain boost. Kava Kava is an herb that is great for reducing anxiety, including social anxiety. It can also help with insomnia. Kava Kava is often available as a tea, which you can also often find in your grocery store. 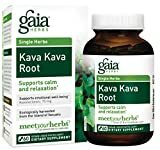 If you have problems with anxiety prior to performing, on a test, for example, you might want to take some Kava Kava the night before to help you relax and get a good night’s rest. Be aware, Kava Kava is not as safe as Gingko Biloba. Since it can act like an herbal valium, you may not want to drive when you have just taken some. It can also have some side effects. But it has also been used for hundreds of years in various cultures and is relatively safe overall. These suggestions are just the tip of the iceberg on natural alternatives to smart drugs. Your local herbalist or expert in Traditional Chinese Medicine may have specific recommendations for you that work with your body and current stage of life.